"The results of the test will be put in a secure online database where students will be able to retrieve their results by using their bar code." BERKELEY, Calif. -- UC Berkeley is adding something a little different this year in its welcome package -- cotton swabs for a DNA sample. In the past, incoming freshman and transfer students have received a rather typical welcome book from the College of Letters and Science's "On the Same Page" program, but this year the students will be asked for more. Make sure to search "Facebook" on this blog's search bar to pull all of the tangential news. Why waste a perfectly good show complaining about it, when really important news is getting no coverage - like in the case of our Special Guest. Here's how it works... cue it up from this link and hit the play button during Ed Hasbrouck's world class interview. You can listen to the interview with or without the sound. It should calm it down so you can be a rational sane person during and after this interview vs. someone super agitated while you have to get through the rest of your day. SPECIAL GUEST: Edward Hasbrouck, leading privacy and travel identity blogger/advocate (blogvocate?) updates us on what is happening to paid escalation services to bypass or to expedite time consuming trips with the TSA. Heads up for Nexxus and CLEAR card owners - this is very bad news. Hasbrouck also discusses the latest on a New Mexico man who is facing jail time for refusing ID to fly. In the trend of the exceptional becoming the norm, it is really high time we started paying WAY more attention to travel surveillance. The US is leading the international pack in the quest to surveill everyone. We discuss what's driving this in a very special 53 minute interview. Do we still have to worry about an RFID chip? Oh yeah. New Hampshire public servants are accused of abusing driver privacy clauses to cover up misdeeds has stirred outrage in a State known for it's committment to the "Live Free or Die" motto. The concern lies over Department of Public Safety officers and New Hampshire State police refusing to reveal on-the-job records of their reports and findings about routine traffic accidents based on the drivers privacy. A new bill, AB1942, on the way to the California State Senate would allow employers to place video monitors in vehicles to surveill transport drivers to increase and ensure safety. The cameras not only videotape drivers but records their speed, seatbelt and break usage, and pinpoints exact location. BTC - A new privacy scanning browser bookmark has hit the web to search defamed social networking website Feacebook with easy to reach instructions on how to "figure out" where a privacy breach may occur. While some seek to throw "friends" out with the bathwater, by deleting accounts, mediation services like this one are trying to keep you in reach. Reclaim Privacy.org wants you to add their Facebook page. BTC _ The United Kingdom has cited "civil liberties" as the chief reason for cancelling the national ID card program and to scrap the National ID registry. The ID card program was instated as part of the Labour party's agenda to control immigration and and fight terrorism. Privacy advocates, like NO2ID, still seek to repeal eablished laws on the books. 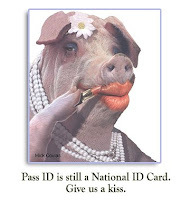 Anyone remember, Tim "Congress must Repeal Real ID" Sparapani ? While we know defending public identity doesn't pay much, Sparapani did what he had to do. Right now he's the legal counsel for Facebook. It only feels slightly better that we have one of our own on the inside of the Facebook fight. While we are still working through our abandonment and betrayal issues, privacy needs more advocacy at Facebook. WIRED magazine reports Facebook is working on "simplistic user controls" to unsnare profiles from complicated privacy controls which some consider unfair. So unfair, in fact, that transparency gauges were developed for people to watch certain Facebook applications. It is an important observation that the user controls at Facebook to delete accounts are hidden. You'll have to go off site and dig through WikiHows to figure out how to actually delete your account. Whatever... Facecrook is an immense high maintenance pain in the duff. It's time to move your clique to another fugee camp - try Diaspora. While discussions say it is not as well developed or funded , it doesn't mean it won't be. For now, it's all the buzz amongst privacy pros. NOTE TO ALL : beatthechip@gmail.com is suffering incoming mail problems. 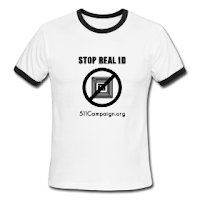 If you need to communicate with me directly please visit the contact page at : http://www.511Campaign.org . BTC - Over the weekend discussions continued about ways to create punitive damage to Facecrook for selling private details of users lives. Organizers are starting to draw lines in the sand against Facebook for blowing the public trusts, colluding with US intelligence agencies, and selling anything given them to the highest bidder. Facebook is begging to be stopped. On May 31st 2010, organizers "mmilan" and Joseph Dee are quitting Facebook, but they are certainly not alone. They are organizers for Quit Facebook Day - an online group looking to steer their friends, or to create portability, to more private social networking sites which didn't take the extreme licenses Facebook has even in the recent past. Other California organizers are gathering their ranks and becoming informed. Facebook attracts a lot of people in the see and be seen crowds. Many young people complain they are non-entitys without social networks. This is why it is standout to see a Facebook protest cropping up where the bonfire of vanities burn in Los Angeles County. One personality by the name of Alana Joy and another USC student, Christina Gangnier are gathering to resist Facebook in the only ways they know how - by posting and organizing a protest on Facebook and then promoting it using social media. Other privacy advocates closer to Facebook's epicenter in Northern California are collecting their thoughts and proceeding with caution. So far, many objections and concerns were shared at the local Privacy Camps and Web 2.0 workshops, dialogue is ongoing. One plan is to use Facebook's extreme example to propell an upgrade for privacy laws which pre-date the Internet. While local and national US concerns are based on privacy and unsolicited surveillance by federal intelligence agencies, Facebook has become a world wide tool for activists today. The following video shows Egypt's government grows concerned about the Internet and use of social media by organizers.